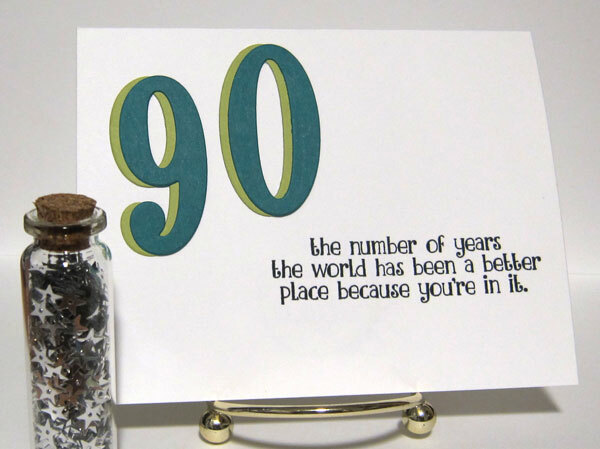 I'm thrilled to be off this week after spending the w/e in Ohio celebrating my dad's 90th birthday! Monday was a day of jet lag and a dentist appointment. Yesterday was a hair cut and color appointment and today was a cardiology appointment for f/u. Need to schedule a repair for our non-working icemaker and then Friday they are coming for measurements for Roman shades at my 2 kitchen windows. Whew! I really think it should be called the week of appointments! On to my card...I loved the MFT Wednesday Sketch Challenge this week and thought it would be perfect to ink up a recent sale purchase from Ellen Hutson's store. I've had my eye on these MFT Sweet Succulent stamps and matching dies since their release in March and finally bit the bullet and ordered them. 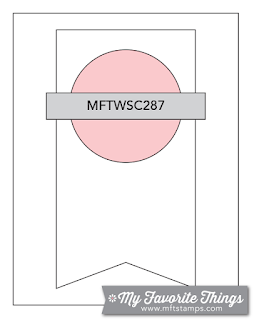 I sponged Cajun Craze ink over a MFT Fishnet stencil but am not sure I like my choice. Next time I will use a brick stencil. The succulents were colored with Copics after stamped and die cut. Pot #1 - E13, E08, E09, BG34, YG03, YG17. Pot #2 - YR24, YR14, YR27, YG01, YG23, YG25, Y17. 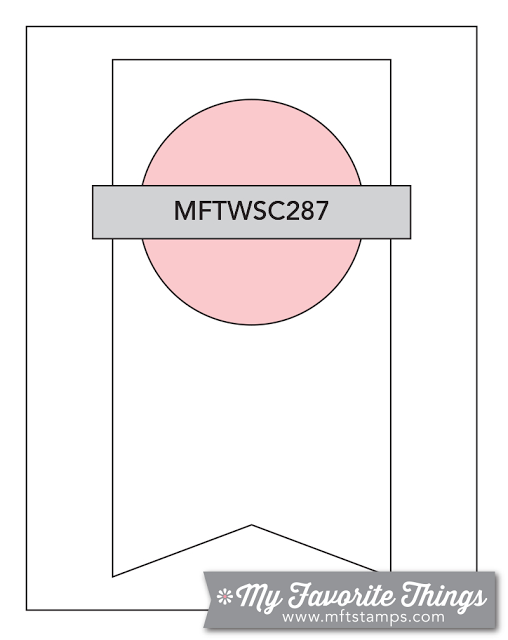 Pot #3 - E31, E33, E35, YR04, G40, G21, G24, G28, RV32, RV34. Whoa! It's the last Wednesday in June already...slow down summer!! 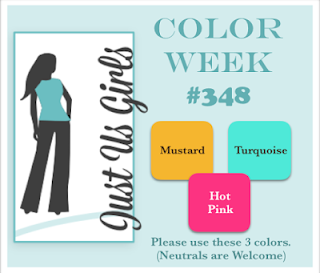 Vickie is our Color Throwdown Challenge hostess this week, and she's got a yummy color combo for us! With kraft and brown as 2 of the 4 colors, I knew I wanted to get out my Copics and color up one these RC critters! I went with this sweet little bear from the Bear Hugs set. 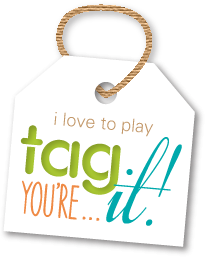 I'm also playing along with the current Tag, You're It! challenge and was inspired by the angled pair of tags in their photo. 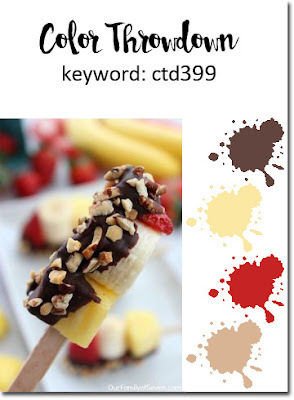 Blending Card then colored with Copics (E31, E33, E35, E57, R12, Y06, Y18). Patterned paper is from My Mind's Eye "On the Bright Side" 6x6 pad. I added some shimmer to the daisies with a clear Wink of Stella brush pen. I have to tell on myself and my major mistake! This was my first time using this bear die cut and I totally forgot to remove the little daisy die that was attached in the center of the bear's face where the nose would be. All colored up and then he ends up with a daisy shaped nose cut out! Ugh! Rather than color the entire image a second time, I just did the face and fussy cut and adhered it over the "mistake". Bet I don't ever forget to check my dies first anymore! 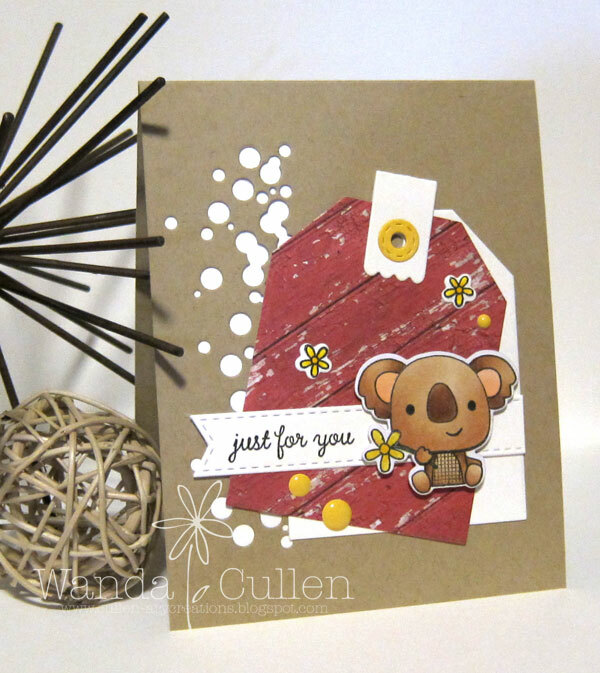 Reverse Confetti dies used: Falling Confetti, Bear Hugs, Hang Ups, Topped Off Tag. A big thank you to Kara Vrabel for guesting with us this month! 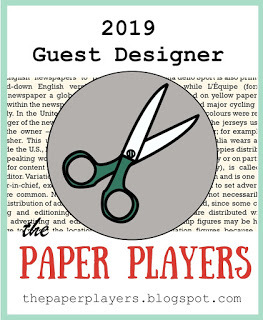 Stay tuned to see who our July guest designer will be! 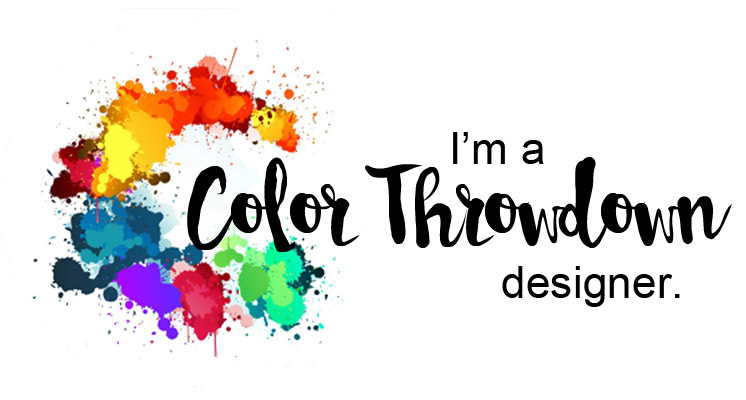 Labels: color Throwdown, Reverse Confetti, tag, Tag...You're It! Good Monday everyone! It's time for another Mojo Monday Challenge and I've taken a clean and simple route this time! I started by watercoloring on Ranger CS then diecut the large circle element. I'm loving my new (to me) palette of Gold Class Mission watercolors...so vibrant and it only takes a wee smidgen of paint to cover a card-sized area! 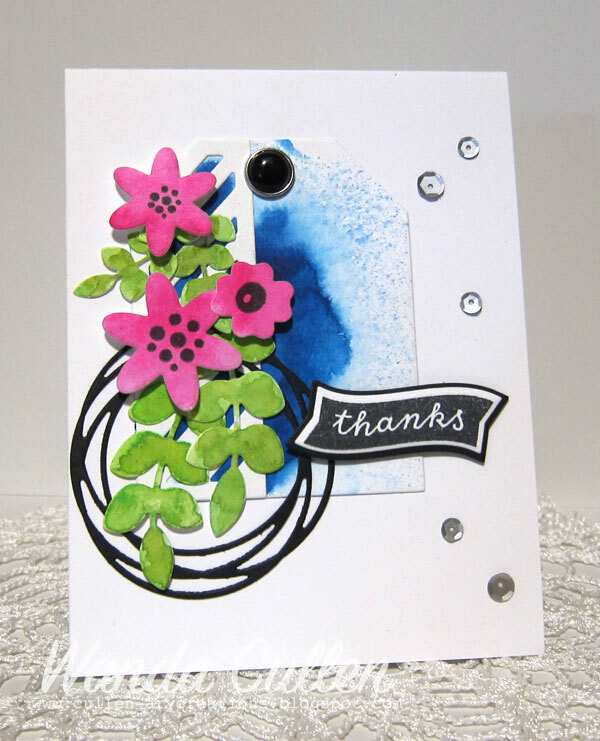 This sketch was perfect to utilize one of Verve's longer sentiment stamps! I die cut the butterflies and added clear Wink of Stella shimmer pen to the wings. PAPER: White (PTI), Black and White (Recollections). DIES: Butterfly Dreams (Verve), Stitched circle (Lil' Inker Designs), Stitched Flag STAX Die-Namics (MFT). I haven't used tilted panels like this for some time and struggled with finding patterned papers that would work. 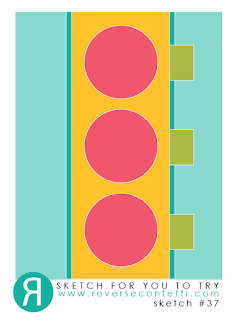 I didn't quite use the neon shades of color as shown in the photo but think it's close enough to work. I had fun with it anyway and that's what it's all about! The flowers were 3 step stamps from Altenew's Vintage Flowers stamp set. The rose has Melon Mambo then Real Red then Cherry Cobbler inks layered up. 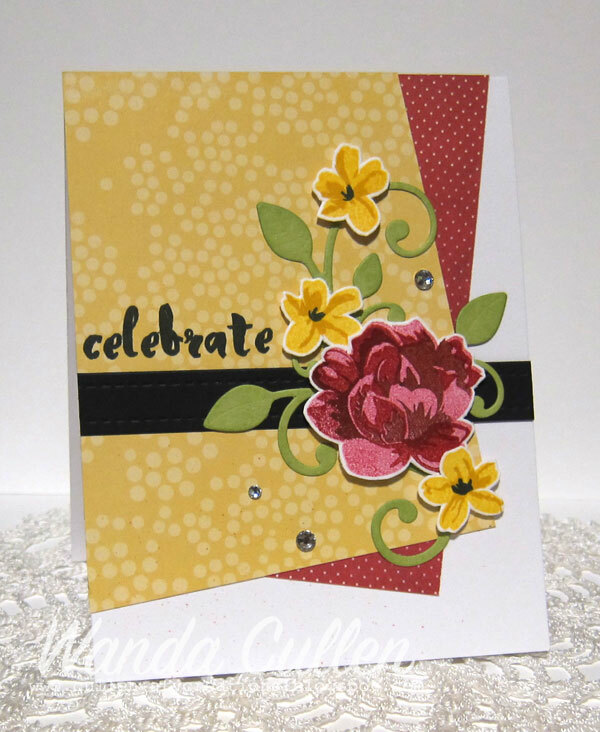 The smaller flowers used Daffodil Delight and Crushed Curry with black ink for the centers. I fussy cut and layered with foam tape over a die cut leafy flourish (MFT) from Sour Apple CS (MFT) sponged with Beanstalk ink by WPlus9. Papers are from Echo Park's "Splendid Sunshine" pad and from My Mind's Eye "On the Bright Side" pad. 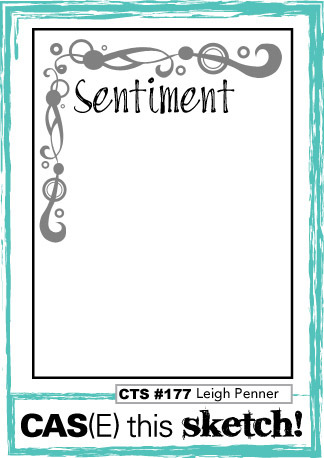 The sentiment is from Altenew's Painted Greetings stamp set. 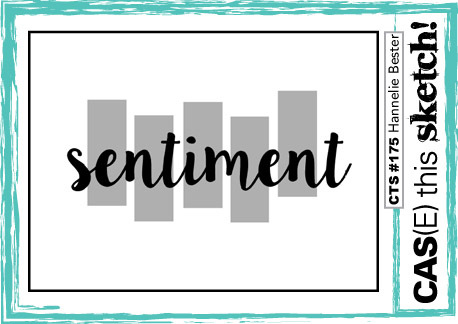 As always, I used my MISTI to stamp the sentiment twice for a crisper, darker coverage. 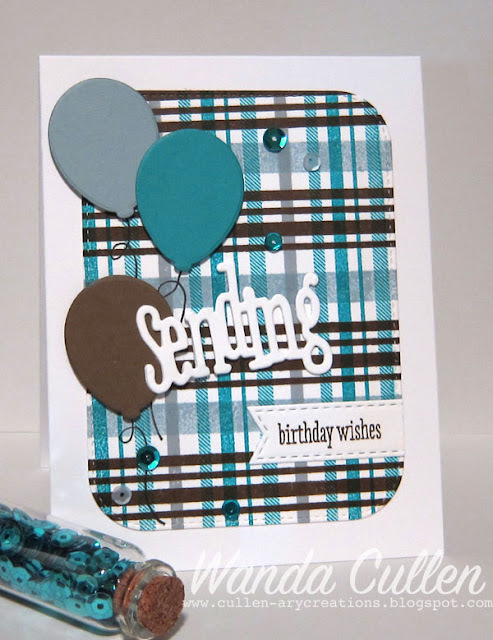 Congrats to our guest star stamper this week - Vicki Finger of Twinkling Paper Studio! To keep the sentiment from "getting lost" on the patterned paper (Summer Days by Echo Park), I gold embossed it on vellum and made a belly band of sorts. 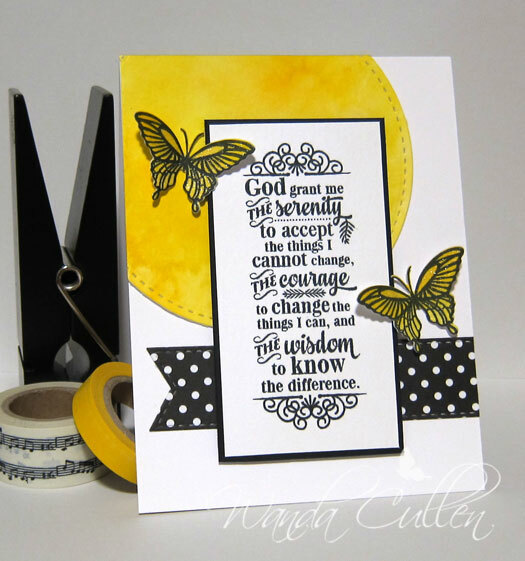 The sun and clouds are dies by Lil' Inker Designs. The gold arrow embellishment is by Recollections. 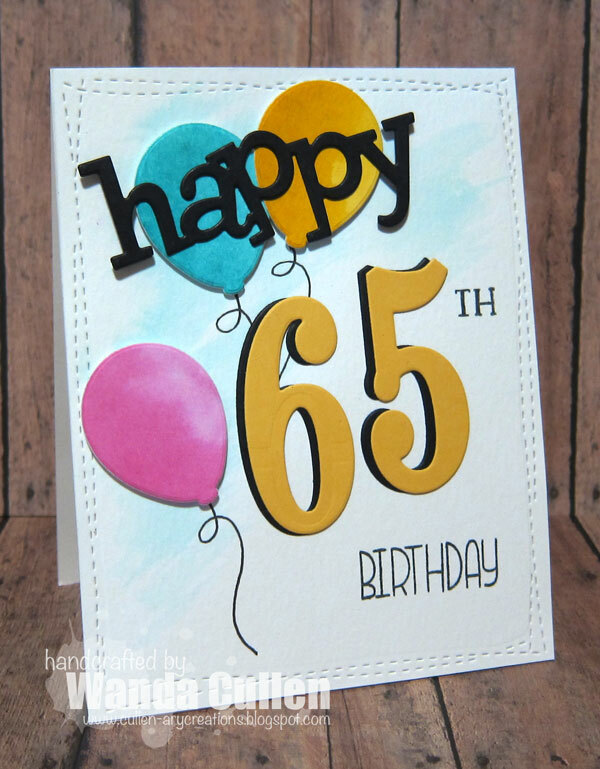 This time, I created a card for my DH who is turning the milestone 65th birthday tomorrow! 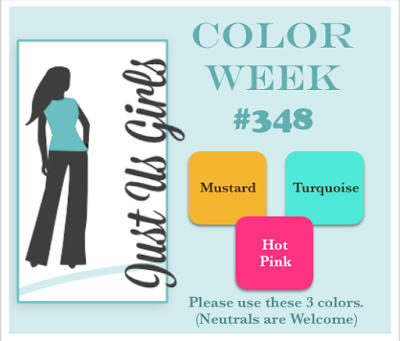 I used the colors - turquoise, mustard and hot pink - for color week over on the Just Us Girls challenge blog and I used Leigh Penner's great sketch for the current CAS(E) This Sketch Challenge. Peacock Feathers, Mustard Seed and Picked Raspberry distress inks, popped them with foam tape and hand drew the strings. There's a very light watercolor wash of Tumbled Glass ink on the card base. 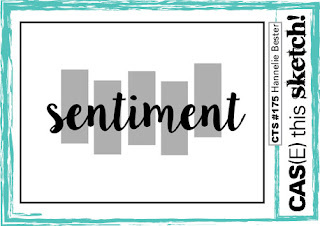 The sentiment is a mix of company products with the "happy" die (Happy Trio) and "birthday" word (Whole Lotta Happy) by WPlus9, number 65 die and "th" by SU - from their "Number of Years" bundle. I wanted a shadow effect on the number, so layered the yellow over the black 65. 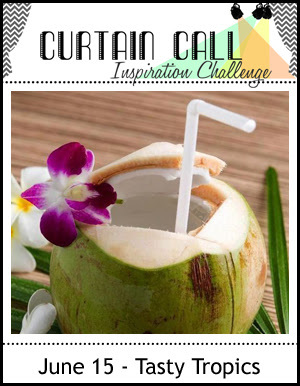 A little taste of tropical paradise was the inspiration for this card created for the Curtain Call Inspiration Challenge and for the new Freshly Made Sketches Challenge. I was putting this together while sipping on a green breakfast smoothie and wishing it was a pina colada instead - lol! Papers are from Echo Park's "Summer Days" pad and are filled with happy colors! STAMPS: Fabulous Flamingo (Reverse Confetti), Garden Bunch (Reverse Confetti). INK: Melon Mambo, Rose Red, Daffodil Delight (SU). Memento Tuxedo Black. 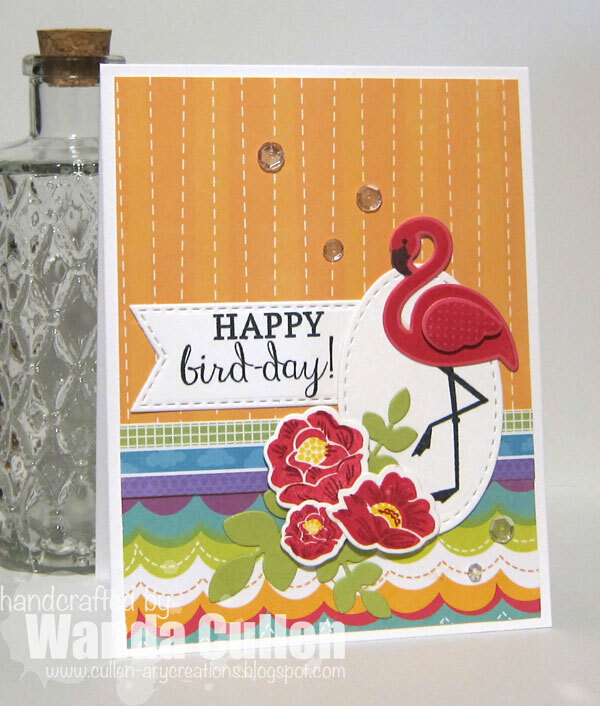 DIES: Stitched Oval by Lil' Inker Designs; Garden Bunch and Fabulous Flamingo coordinating Confetti Cuts by Reverse Confetti; Stitched Flags Die-Namics by MFT. 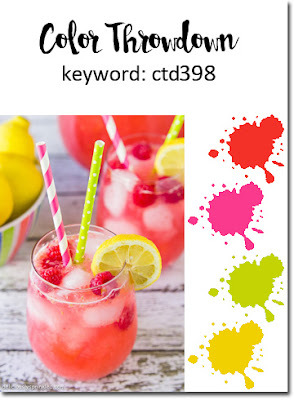 It's hump day, so that means a new Color Throwdown Challenge is on board! Lori is our hostess this week with a great pineapple handbag inspiring the colors: yellow, green, kraft/brown. I'm also playing along with CAS(E) This Sketch Challenge with my card layout. described the paints HERE. I am loving the Mission palette with their vivid colors that don't fade out when they are dry! I used Permanent Yellow Light for the card background and splattered with Raw Umber paint. 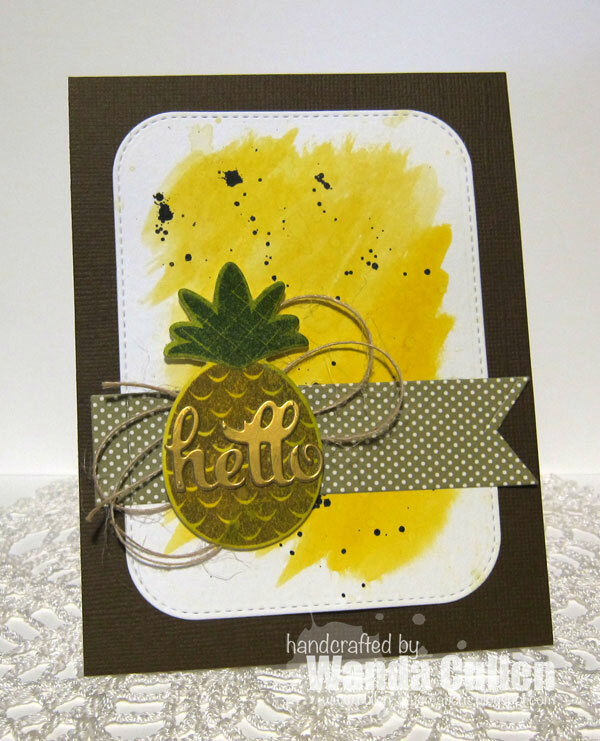 To that same yellow, I mixed in some Greenish Yellow on another scrap of watercolor CS then stamped the pineapple with Baked Brown Sugar ink by SU. The leaves were watercolored with Olive Green paint then stamped with Garden Green (SU) after dry. 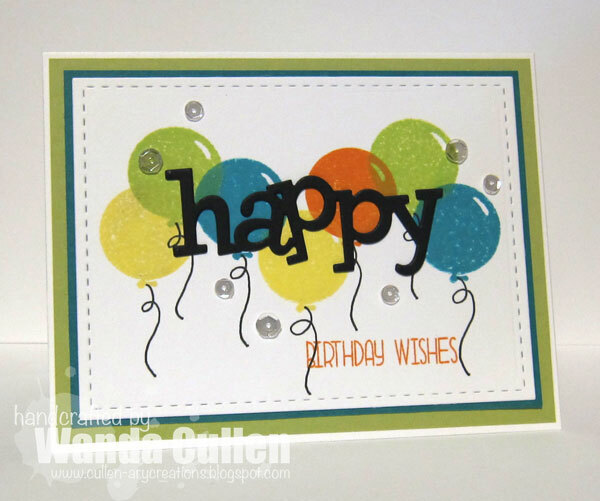 The sentiment was die cut twice from metallic CS using Reverse Confetti's Fancy Words Confetti Cuts. The pineapple was layered with foam tape over some looped jute twine and a Stitched Flag die cut (RC) from Simple Stories Snap Color Vibe pad. The textured brown CS base is by Bazzill. 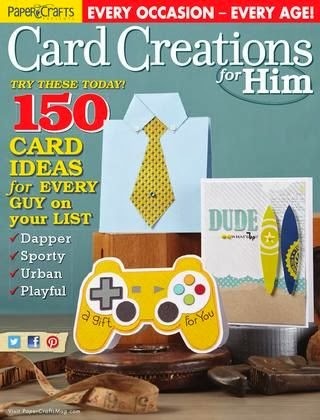 This month is slipping by so quickly and I'm needing two more masculine birthday cards for this weekend! 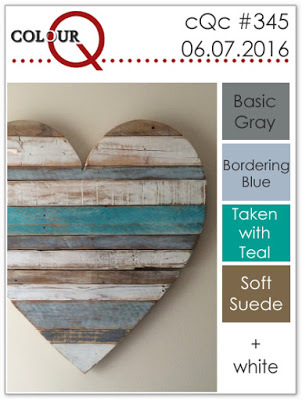 When I saw the colors for the current ColourQ Challenge, I knew I could knock off at least one card! (Edited to add: This challenge linky was already closed...bummer!) I'm trying to ignore that OCD part of my personality that isn't happy with the slightly crooked plaid design. :-( No time for a redo! I was pleasantly surprised when I dug into my old stash of SU ink pads that Bordering Blue and Taken with Teal were both very inky and got the job done...unlike my much newer Basic Gray which was dry and necessitated me using WPlus9's Silver Lining ink pad instead. Balloon dies are the smallest in SSS Balloons die set. 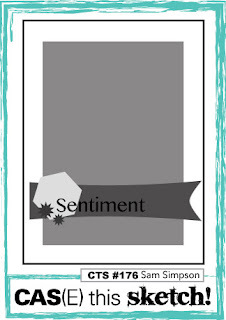 The sentiment die and stamp are from WPlus9's Sending, Hoping, Wishing stamp/die set. I used MFT's Plaid Background Builder stamp set for the background. 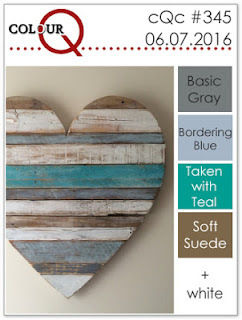 PAPER: Taken with Teal, Soft Suede, Bordering Blue, White. Anxious to play some more with my new Gold Class Mission watercolors, I used Bright Opera, Yellow Green, Olive Green and Peacock Blue on Ranger watercolor CS. I die cut flowers and leaves using Confetti Cuts dies by Reverse Confetti. This was inspired by Anya Curvers gorgeous card for the current Tag, You're It Challenge #49. 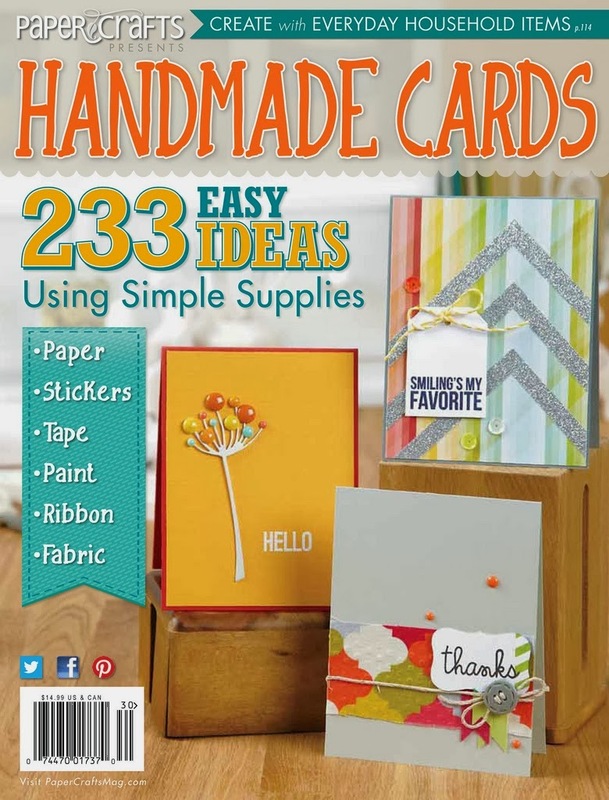 STAMPS: Bitty Banners (Reverse Confetti), Petals 'n Posies (Reverse Confetti). 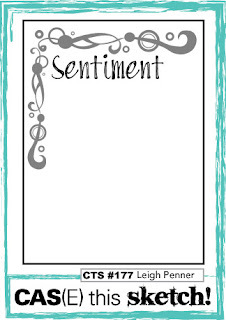 DIES: Bitty Banners, Swirlies, Topped Off Tag, Leafy, Petals 'n Posies - all by Reverse Confetti. It's time for another Mojo Monday Challenge and another great sketch by Julee! I knew I wanted to use a bold floral collage in lieu of the square element and went with some older papers from My Mind's Eye "Home" photo mat stack. STAMPS: Simply Amazing (Verve), Sunny Days (Verve). INK: Garden Green (SU), Memento Tuxedo Black. ACCESSORIES: Amazing Adjectives, Simply Daisies, and Leafy Sprigs - dies by Verve; Edge Essentials Confetti Cuts die by Reverse Confetti; Corduroy brad by SU; Clear sequins by PPP. 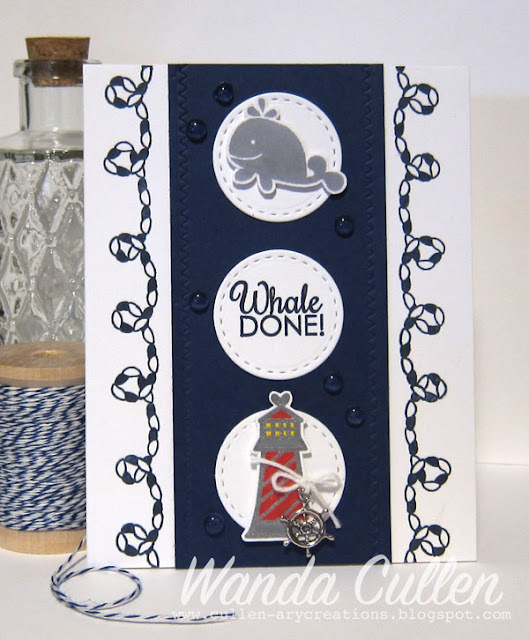 I thought the Sketch For You To Try Challenge for June would be great to use this retired Reverse Confetti set - Happy Harbor. Very monochromatic and highlighted with clear dew drops that mimic water bubbles. I used the zig zag die from the Edge Essentials Confetti Cuts set to emboss a border along the navy panel. That die set is my current RC favorite! Thanks for stopping by! It's Color Throwdown Challenge day and Lisa is our hostess with the mostest! 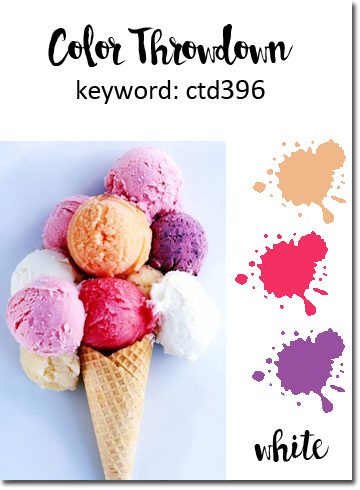 Check out these awesome colors: peach, raspberry, plum and white! 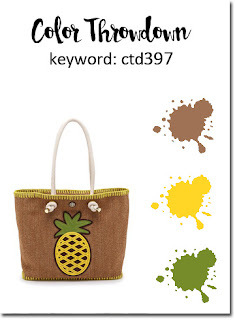 It's making me hungry for some fruit salad - lol! I did a watercolor wash on some Ranger WC paper using Picked Raspberry, Dusty Concord and Dried Marigold distress inks. Using WPlus9's Outlined Roses die, I cut out the roses and leaves from Neenah Solar White CS then sponged on Dried Marigold, Abandoned Coral, Picked Raspberry and Seedless Preserves distress inks. I sponged WPlus9's Beanstalk and Mojito dye inks on the leaves. I gold embossed the sentiment (WPlus9's Sending, Hoping, Wishing set) on vellum then used SU's window label punch and adhered with two tiny black brads. 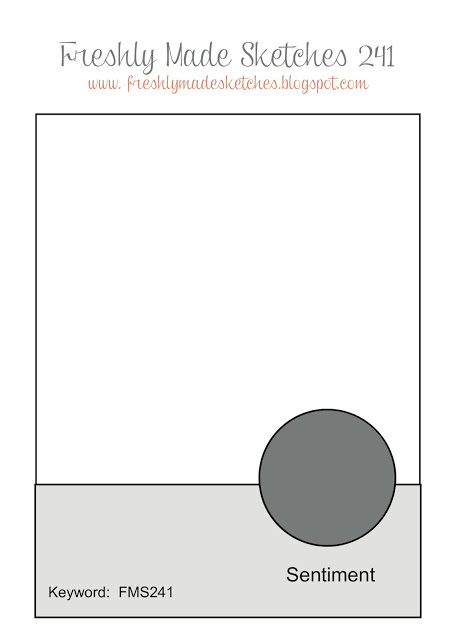 The "sending" word die was cut twice to layer for more dimension. I splattered the base panel with Heidi Swapp gold Color Shine and added some gold sequins. 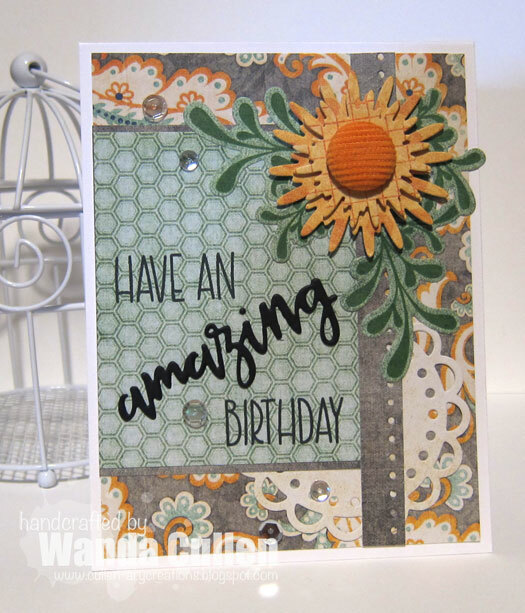 The wonky stitched frame die is by Lil' Inker Designs. Our guest star stamper is Rosemary Dennis of Hey There...rosigirl! 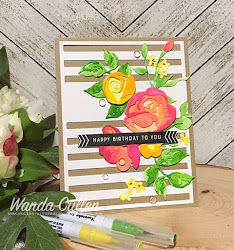 Be sure to stop by her blog to comment on her beautiful card! 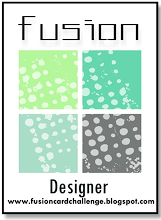 We're also thrilled to have Kara Vrabel of K and R Designs as our guest designer this month! I needed a quick graduation card for a young man from church, so I turned to this older but forever classic PTI set - For the Graduate. I wanted to incorporate his high school colors, so went with this metallic striped paper from the "Be Bold Be Bright" foiled pad by the Paper Studio. I used my MISTI to stamp the sentiment twice. It makes it so much bolder when I do this extra step! The hat was gold embossed with Ranger Queen's Gold embossing powder then fussy cut and popped with foam tape. A tiny black brad to "hold" the tassel and some gold sequins topped off this CAS design. Off to get ready for work...thanks so much for stopping by! My dad has a milestone 90th birthday on the 15th, so as soon as I saw the sketch for the current CAS(E) This Sketch Challenge, I knew I wanted to stagger balloons for his card! I used distress inks then hand drew the strings. I stacked two happy die cuts on top of each other to give it more dimension. Here is the inside of the card with number dies and fun sentiment from SU's Number of Years bundle. After I photographed the inside, I decided to add a few more stamped balloons to brighten it up a bit. STAMPS: Whole Lotta Happy (WPlus9), Number of Years (SU). PAPER: Tropical Teal (PTI), Sour Apple (MFT), White, Black. INK: Spiced Marmalade, Squeezed Lemonade, Twisted Citron, Peacock Feathers (Ranger distress inks). ACCESSORIES: Stitched rectangle die by Lil' Inker Designs; Clear sequins; Happy Trio die by WPlus9. Thanks for stopping by...I'll post some birthday photos after we celebrate with dad end of the month in Ohio.